Decorative Our LED Globe Fairy Lights are the perfect addition to both indoor and outdoorspaces. Add a little sparkle to your patio, balcony, bedroom, pool area orbusiness. Create a fun, relaxing ambience for your Christmas celebration,party or family get-together. 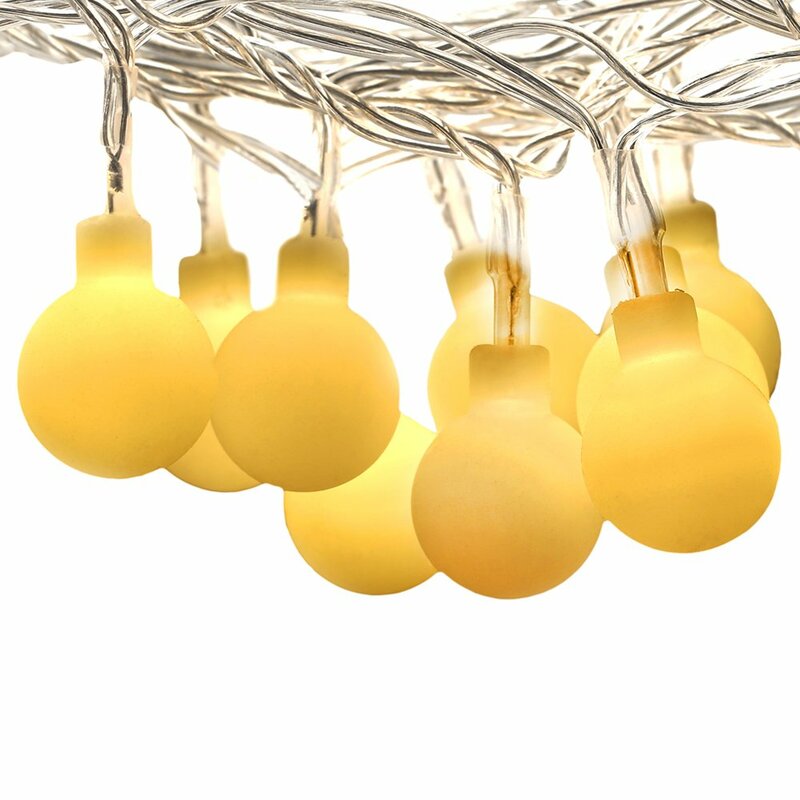 Excellent Illumination 100 LED bulbs, house in cream colored globes, create excellent illuminationand a warm atmosphere. The bulbs are strung out over 10 metres, spreadinglight and cheer across a wide area. Multiple Lighting Modes There are 8 lighting modes to choose from! Simply push the button on the poweradapter to cycle through the different modes. Choose the right one for yourmood or event. Easy to Install The lights can be installed in minutes. Simply connect the power adapter to anoutlet indoors or under cover and string the lights around the space you wantto illuminate.